While many recent films have been made on the contemporary sport of cricket, a TV Series offers a lot more potential for the genre. 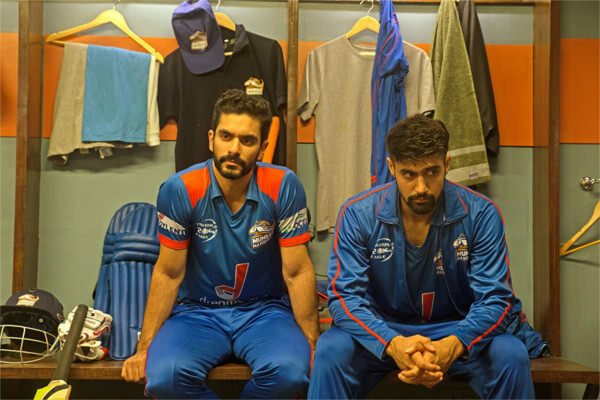 ‘Inside Edge’ is an original Amazon Studios production, that deals with the behind the scenes drama of a Cricket team within a private Indian league. The medium of longer form storytelling within a 10 episode format is pretty impressive for the story being told, and dare I say, never before seen until now. ‘Inside Edge’ is a never before seen Sports drama from the Hindi industry, created by Amazon Studios. 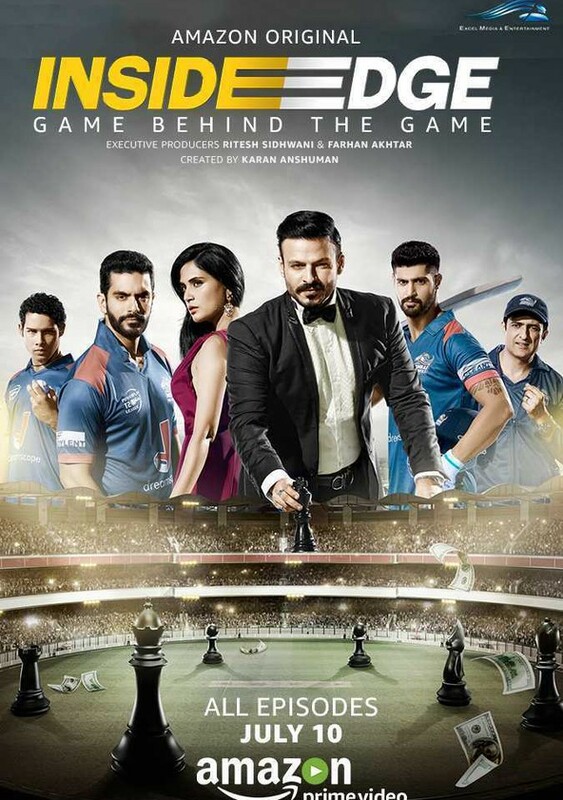 ‘Inside Edge’ is a unique and pretty well done series that focuses on the drama of a struggling cricket team, when one of its owners decides to sell his shares, new owner Vikrant (Vivek Oberoi) arrives, who brings his own agenda to the game. The long term, but now struggling team, part of a private league in India, is headed by Captain Arvind, (Angad Bedi) veteran coach Niranjan (Sanjay Suri) and the more involved owner Zarina. 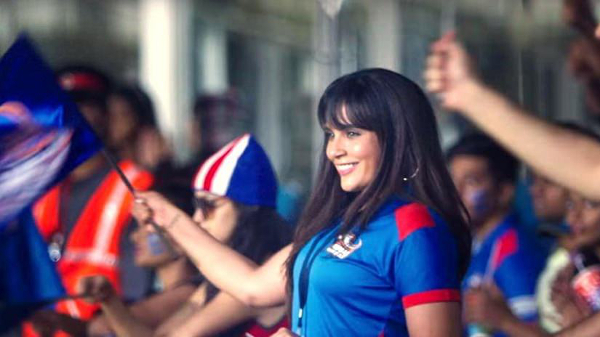 (Richa Chadha) The three, along with the rest of the team, have to get used to, and figure out the true intentions of this new owner, as they navigate their own personal and professional lives. ‘Inside Edge’ sets up many interesting story arcs, between the dynamic of a new owner with suspect motives, while new team members are bullied for their caste, and an on-again-off-again romance between the team’s rebellious hot shot MVP Vayu (Tanuj Virwani) and sports journalist Meera. (Sarah-Jane Dias) The show is an incredibly in-depth look at the world of cricket from both on and off the field. The inner workings of an Indian cricket team are very well depicted, and incredibly interesting to see on screen. The show creates pretty compelling drama within all of its sub plots. Produced by Amazon Studios and Farhan Akthar’s Excel Entertainment, the long form storytelling of a TV series, without the restrictions of a censor board, or having to worry about making its money back, really benefits ‘Inside Edge’. The content is more along the lines of serialized content that one expects from the likes of HBO or Showtime, as the show has the freedom to serve the story, and not its investors and producers. ‘Inside Edge’ has some pretty impressive names attached on screen, and some other lesser known actors who truly make a mark, when given the chance. The show is anchored by known faces from Bollywood like Richa Chadha and Vivek Oberoi. While Chadha can be considered the lead, given her character’s unique contribution to the story, and the fact that it’s her team. Chadha delivers a consistent performance, albeit not one that strays too far from her abilities, playing an actress, but one who has fallen out of favour within the industry. Oberoi is a lot more impressive given that this is his first decent role in a while, and also because he essentially plays a scenery chewing villain. Oberoi’s deliveries are incredibly over the top, and his character seems like he’d be more comfortable in a lair, stroking a cat as he exposes his plans to a certain secret agent, than trying to control a cricket team for nefarious purposes. The rest of the cast are highly impressive, for actors that one has rarely even heard of. Staying in familiar territory is Sanjay Suri, who acts as the team’s veteran player turned coach, and it’s his experience that the Captain relies on. The dynamic between Suri and team Captain played by Angad Bedi is incredibly natural and organic. The two share a chemistry that is instantly likeable. Bedi, so far only seen in Bollywood in smaller roles in films like ‘Tiger Zinda Hai’, really stands out in ‘Inside Edge’. Bedi has play the part of a leader to a sports team, while also dealing with a marriage that’s falling apart, and he does it with a lot of grace. It’s a shame that more mainstream films don’t allow him the opportunity to use this type of range. The breakout performance of ‘Inside Edge’ however, has to be Tanuj Virwani, who can be most considered the male lead of the show, given his character’s arc through out. Starting out as the cocky lead player of the team, Virwani’s Vayu goes through a lot within the first season of the show, and the actor is able to portray the turmoil incredibly effectively. ‘Inside Edge’ is Amazon Prime Video’s first Indian original series, and it has been a pretty successful one at that. Director Karan Anshuman is able to effectively make use of the serialized, long form format, to tell compelling stories, incredible cliffhangers, and segment the story so as to make it feel like a season within the story as well, instead of a really long movie. With the success of a show that features the inside politics and effects of a Cricket team within India, here hoping the Season 2 of ‘Inside Edge’ arrives soon, while also hoping that Amazon Studios invests in more original Indian series such as this. Cinephile. Bollywood Connoisseur. Editor in Chief at http://indianscreen.com & http://blankpagebeatdown.com. Host of Split Screen Podcast (@splitscreen_pod). Member of the Twitterati @theshahshahid. Diagnosed w ADH-- look a dust bunny!